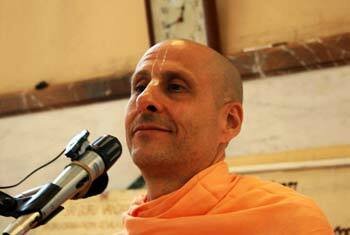 Question to Radhanath Swami: We render devotional service unto Krishna. But does he need our services? 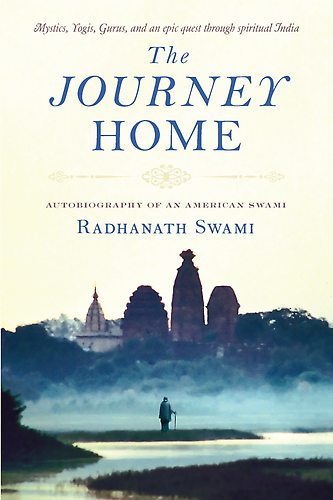 Answer by Radhanath Swami: He doesn’t need anything; Krishna is Ätmäräm. Let’s take the example of the Ganges. When you take water from river Ganges, you say a prayer and offer the water to the Ganges. Does the Ganges need that handful of water from you? Is she going to dry up if you don’t give that handful of water? Is her current going to be diverted back to the Himalayas if you don’t give that handful of water? There are unlimited liters of waters in the Ganges and you have hardly an ounce in your hand, but we need to offer that handful for our spiritual purification. And the Ganges doesn’t need anything, but she wants our love. So when we take that water from her and offer it back with love she is happy. If a child takes a rose from the mother’s garden for her birthday and offers it to the mother, is the mother happy with the flower? She had already grown the flower; the flower belongs to her; but is she pleased when the son gives her that flower? The mother is probably more pleased with that flower offered with love than if someone else buys a diamond necklace to impress her or to get some favor. 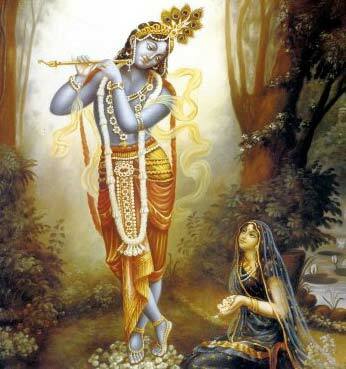 Similarly, it’s love that pleases the heart of Krishna. Krishna doesn’t need anything. He has given us our body, our mind and our intelligence. He has given us the world with all the facilities. But the purpose of this body, the purpose of this mind and purpose of the whole world is an opportunity to reciprocate love. So God doesn’t need anything, but God wants us to be happy, and our happiness is in love.